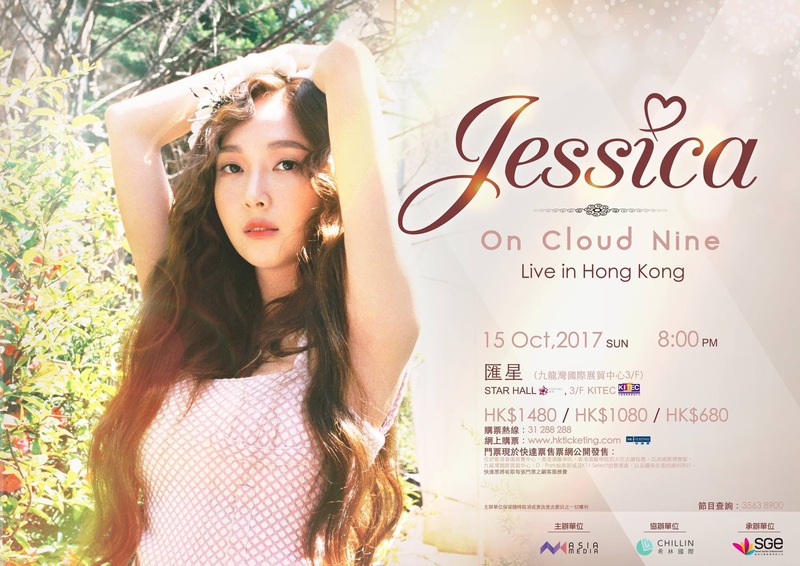 Hong Kong, 2016 – Jessica Jung is celebrating her 10th anniversary after debut and following her concert tour in Seoul, Taipei, Osaka and Tokyo, she will be visiting Hong Kong with < 2017 Jessica “On Cloud Nine” Live in Hong Kong> on 15th October. To celebrate her 10th year after debut, she released a mini album, My Decade, with the title song ‘Summer Storm’. Tickets to this upcoming concert will go on sale on 6th September, 10am via HK Ticketing. Tickets are priced at HK$1480, $1080 and $680. Jakarta, 2016 – Jessica Jung is coming to Indonesia to greet her fans! The singer turned designer had released her first mini solo album ‘With Love J’, which topped charts in Korea and 9 other countries in Asia. This time, she will hold a fan meeting which will take place at The Kasablanka Main Hall on 19 November 2016.